Being around secondhand smoke increases the risk of getting emphysema. Emphysema is a lung condition where the air sacs are damaged, leading to shortness of breath. The damage happens to the inner walls of the air sacs, causing them to weaken and rupture — creating large air spaces instead of many small ones. This reduces the surface area of the lungs and, in turn, the amount of oxygen that reaches your bloodstream. Many people who have emphysema also have chronic bronchitis. Chronic bronchitis is inflammation of the tubes that carry air to your lungs (bronchial tubes), which leads to a persistent cough. Smoking is the leading cause of emphysema. When it worsens, emphysema eventually causes shortness of breath, even while you’re at rest. If you have had unexplained shortness of breath for several months, especially if it’s getting worse or it’s interfering with your daily activities, seek urgent medical attention. 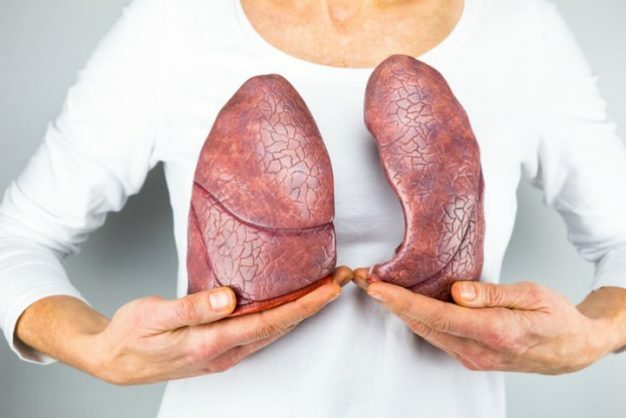 You can have emphysema for years without noticing any signs or symptoms. To prevent it, don’t smoke or breathe secondhand smoke. Wear a mask if you work with chemical fumes or dust. Rarely, it’s also caused by an inherited deficiency of a protein that protects the elastic structures in the lungs. It’s called alpha-1-antitrypsin deficiency emphysema. Smoking: The risk for all types of smokers increases with the number of years and amount of tobacco smoked. Age: Most people with tobacco-related emphysema begin to experience symptoms of the disease between the ages of 40 and 60. Exposure to secondhand smoke: Being around secondhand smoke increases the risk of getting emphysema. 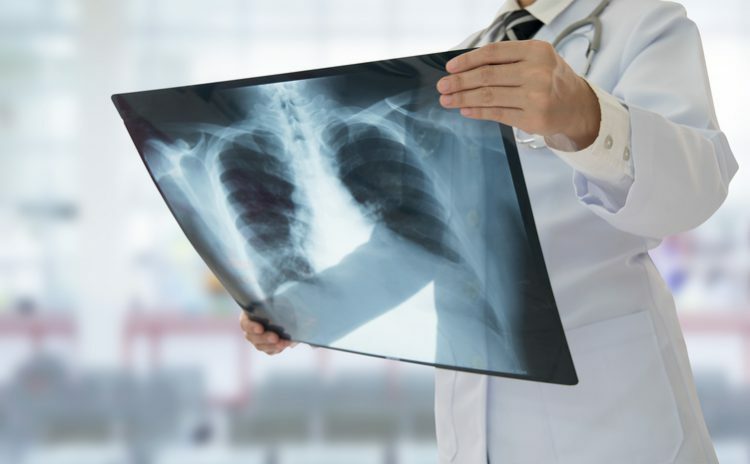 Occupational exposure to fumes or dust: If you breathe fumes from certain chemicals, or dust from grain, cotton, wood or mining products, you’re more likely to get emphysema. This risk is even greater if you smoke. Exposure to indoor and outdoor pollution: Breathing fumes from heating fuel and car exhaust fumes, for instance, also increases risk. Collapsed lung (pneumothorax): A collapsed lung is life-threatening because the function of the lungs is already so compromised by the emphysema. 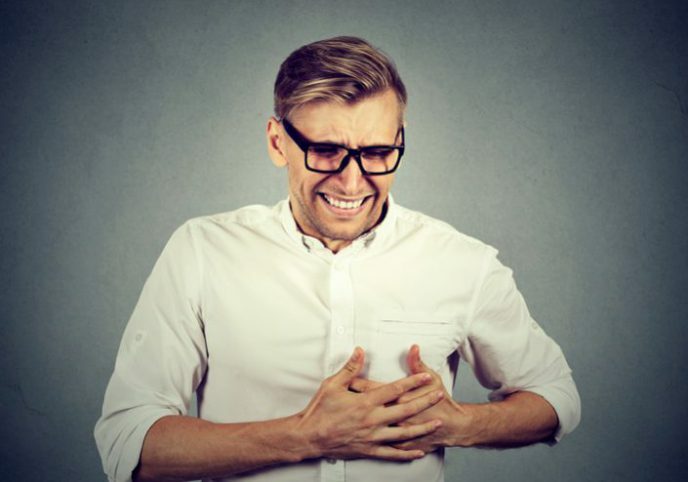 Heart problems: Emphysema can increase the pressure in the arteries that connect the heart and lungs. This can cause a condition called cor pulmonale, in which a section of the heart expands and weakens. Large holes in the lungs (bullae): Some people with emphysema develop empty spaces in the lungs called bullae. They can be as large as half the lung. In addition to reducing the amount of space available for the lung to expand, giant bullae can increase your risk of pneumothorax. The doctor will take a full history and do a medical examination to determine if you have emphysema. A lung function test (spirometer) can be done to check the capacity of your lungs. A chest X-ray is very important to rule out other causes of shortness of breath. But the chest X-ray can also show normal findings if you have emphysema. Computerised tomography scans can be useful for detecting and diagnosing emphysema. Blood tests can also be taken to check the amount of oxygen in your arteries. Bronchodilators: These drugs can help relieve coughing, shortness of breath and breathing problems by relaxing constricted airways. Inhaled steroids: Corticosteroid drugs inhaled as aerosol sprays reduce inflammation and may help relieve shortness of breath. Antibiotics: If you have a bacterial infection, like acute bronchitis or pneumonia, antibiotics are appropriate. A pulmonary rehabilitation programme teaches breathing exercises and techniques that may reduce breathlessness and improve exercising ability. If you have severe emphysema with low blood oxygen levels, using oxygen regularly may provide relief. Many people use oxygen 24 hours a day. It’s administered via narrow tubing that fits into your nostrils. As a last resort, a lung transplant may be needed. 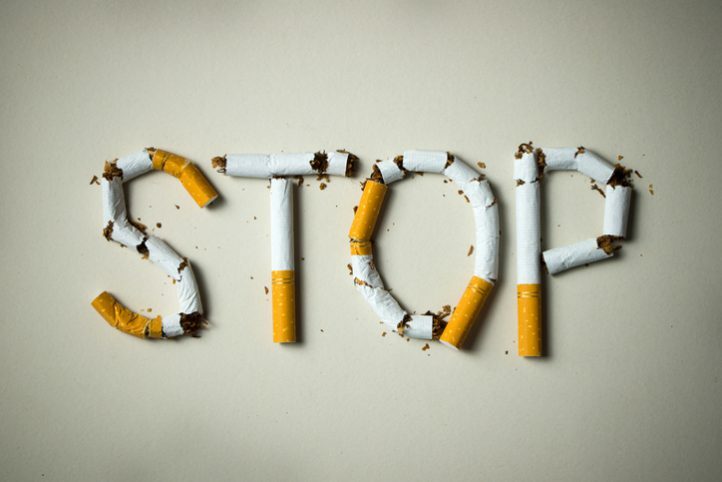 Stop smoking: This is the most important measure you can take for your overall health and the only one that might halt the progression of emphysema. As much as possible, avoid secondhand smoke. Avoid other respiratory irritants: These include fumes from paint and vehicle exhaust fumes, some cooking odours, certain perfumes, even burning candles and incense. Change furnace and air conditioner filters regularly to limit pollutants. Exercise regularly: Try not to let your breathing problems keep you from getting regular exercise, which can significantly increase your lung capacity. Protect yourself from cold air: Cold air can cause spasms of the bronchial passages, making it even more difficult to breathe. During cold weather, wear a soft scarf over your mouth and nose before going outside, to warm the air entering your lungs. Get vaccinations: Be sure to get an annual flu shot and pneumonia vaccinations. Prevent respiratory infections: Do your best to avoid direct contact with people who have a cold or the flu. If you mingle with large groups of people during cold and flu season, wear a face mask and wash your hands frequently with alcohol-based hand sanitiser.